If you know me at all, you know that I am very organized and detailed. 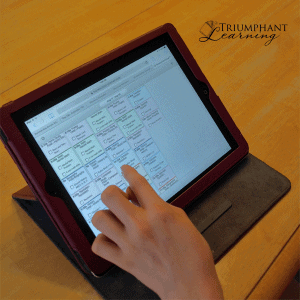 I like to have my calendar, to-do’s, schedule, and school lesson plans all lined out and in digital format. My friends call me a spreadsheet queen. I created a very detailed spreadsheet to plan and track our homeschool lessons. 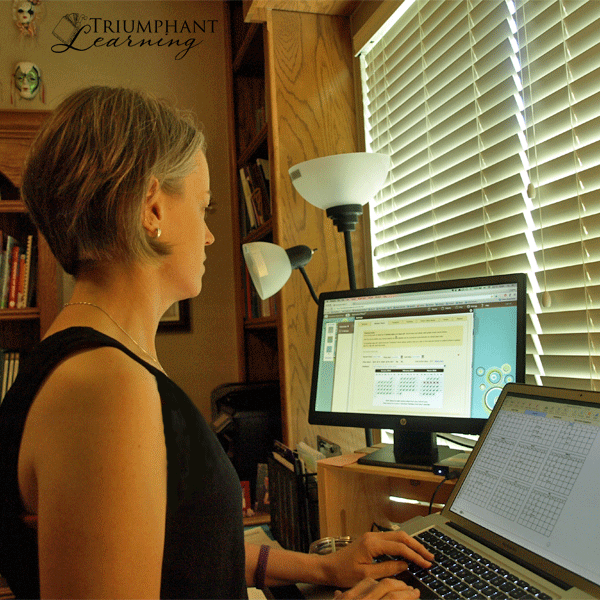 Every online homeschool planner I tried failed to meet my expectations and could not even come close to doing what my spreadsheet could do. And I tried every.single.one out there. Then I found Homeschool Planet! I fell in love with it on the first use and love it more each day. You may not believe this, but I can now plan in more detail and with better efficiency than with my spreadsheet! But don’t worry, if you don’t like to plan in detail, there are still a lot of features that you will love. I received Homeschool Planet for free and I was compensated for my time to review this product. All opinions are my own and I am not required to give a positive review. 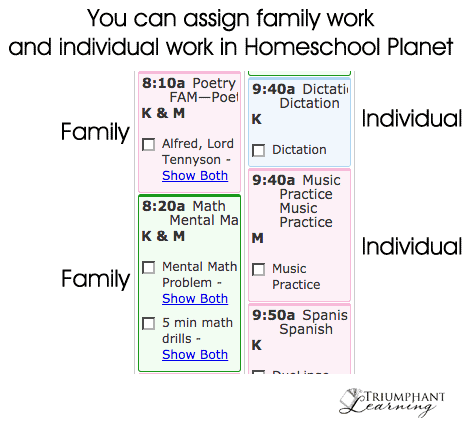 As you can see, I expect a lot from an online homeschool planner. I mentioned that I tried every one available. Each had features I liked, but every one lacked some functionality that I really needed so I went back to my spreadsheet after the free trial period ended. Not Homeschool Planet! I learn something new every month that just makes me love it even more. Let’s take a look at how Homeschool Planet exceeds the expectations listed above. Or, if you prefer you can watch a video review of Homeschool Planet. 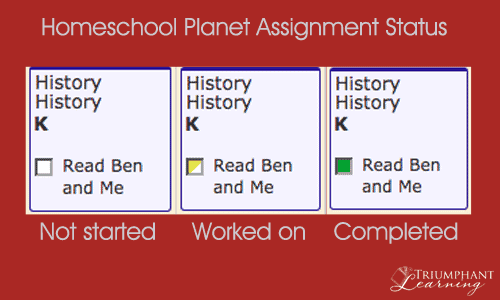 It is very easy to get started with Homeschool Planet. 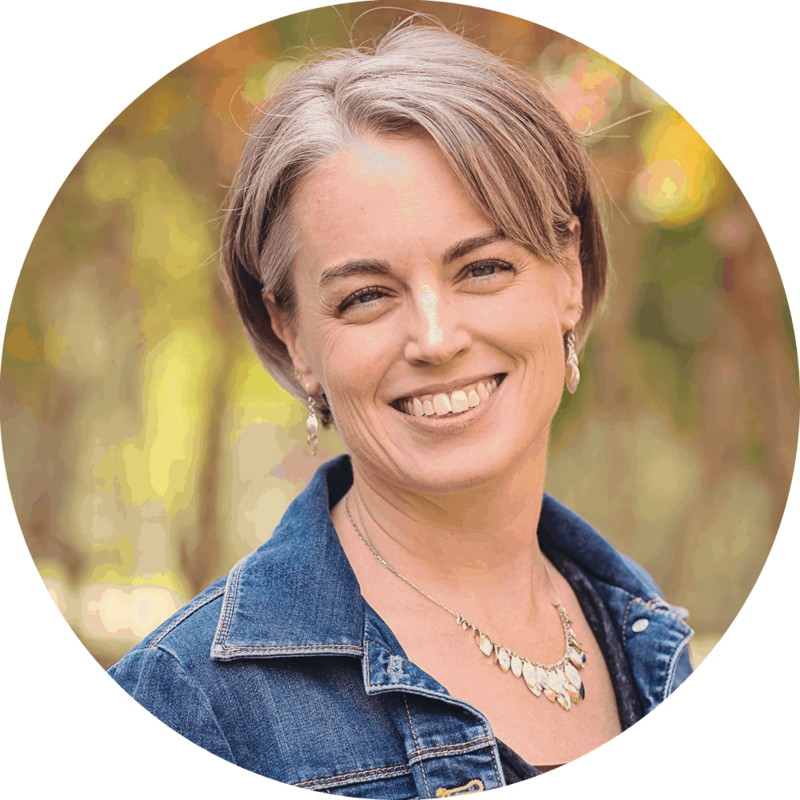 You can watch these tutorials to walk you through the process of setting up your homeschool, students, and school year. Adding subjects, courses, and assignments is a snap. Customer service is incredible. I have emailed multiples times with questions about how to accomplish what I needed. They emailed back within 24 hours, usually within 5 hours, with instructions or suggestions of a work-around. Homeschool Planet works with all educational styles. You can track grades, including pass/fail options, or turn the grading option off. Assignments can be scheduled for a single student, multiple students, or the whole family. If you live in a state that requires hourly attendance records, you can track hours by assignment or class. You can even track classes and hours as core and non-core. Classes can be scheduled at the same time every day or different times on different days. If you prefer, you can even schedule classes in a particular order instead of at a particular time. Life happens. Lesson plans change. A child is sick. You schedule a trip in the middle of the year. 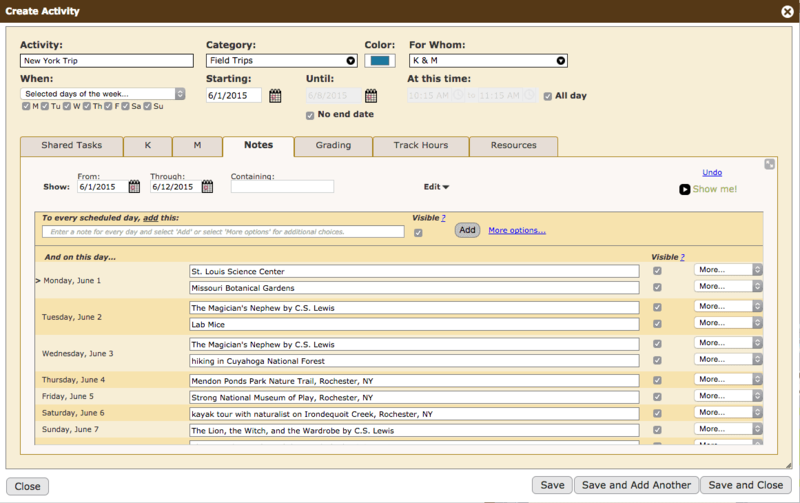 It is easy to move assignments with Rescheduling Helper. Rescheduling Helper is also nice for the days you work from a printed assignment list and need to mark all of the assignments as complete. You can accomplish this with a single click. You can add a course mid-year, change assignments, or add new resources you just found. You can see at a glance what needs to be completed, what has been worked on, and what has been marked as complete. 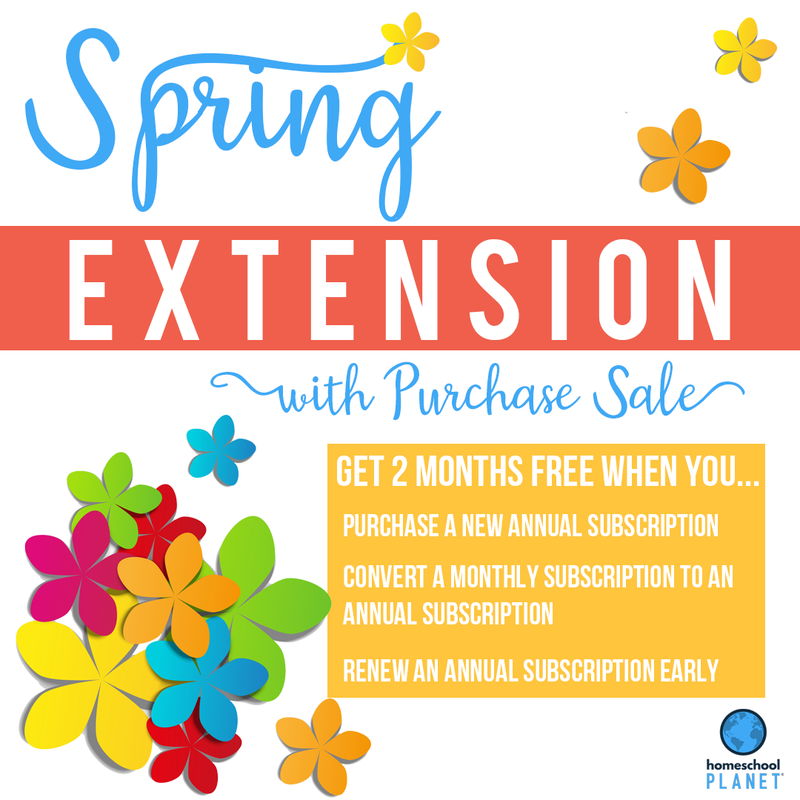 You can access Homeschool Planet from any device—laptop, desktop, tablet, and smartphone. With student logins, you can be logged in with administrative access on your laptop or tablet while each student is logged on a different device so everyone can keep moving forward. Recording details of educational activities on a trip. Students can have individual logins and check off completed assignments. This allows them to develop time management skills as they work through their assignment lists. We have a combination of family and independent work. I can easily designate which assignments are to be done together and which are ones my daughter is responsible for completing independently. 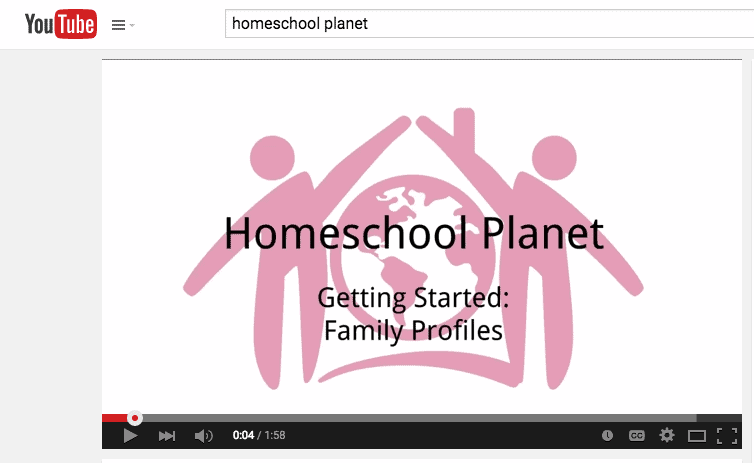 Watch a video review of Homeschool Planet and how I use it in our homeschool. 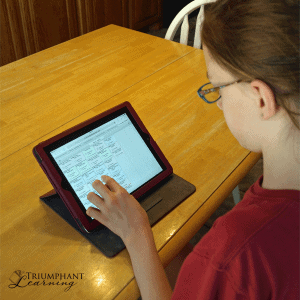 Had you tried Homeschool Helper? I have been using that app for the past 3 years and the thing I love best about it is that it is on my ipad and we can access it without the internet if need be. The only downside is that it isn’t always easy to move things around once they are scheduled in – for instance if we have 3 different geography readings a day and we miss one and want to schedule that for a different day we have to do it manually so we don’t “bump” everything else. Beyond that, tho I really like it. I just don’t know if having something completely online is for me! 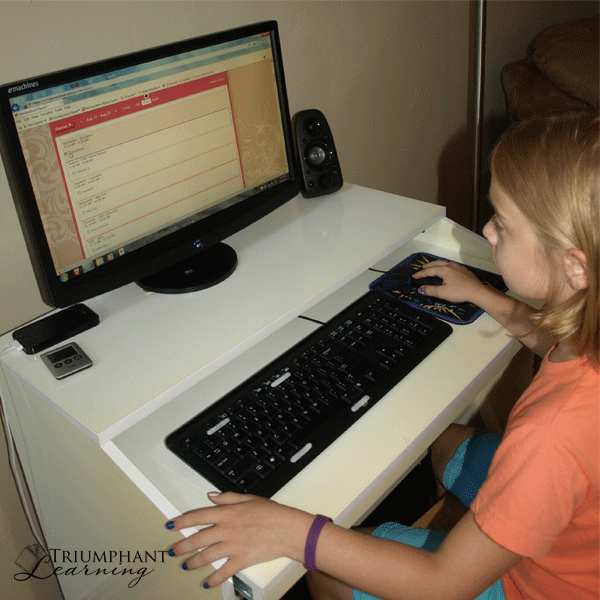 Have you ever tried Homeschool Tracker? 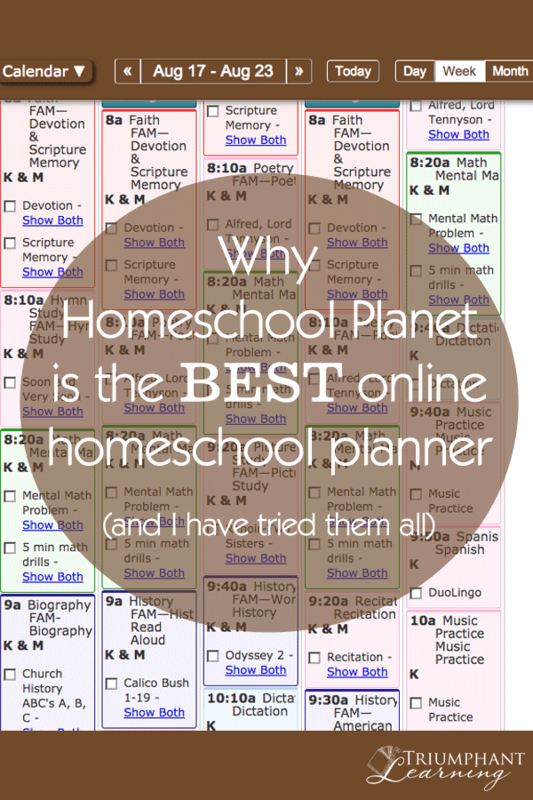 If so, how does Homeschool Planet compare to Homeschool Tracker. Sounds similar to me. Thanks! I have not tried Homeschool Tracker. I believe when I looked at that software it was available only as software that ran on your computer and they did not support Mac. They did not have the online version at the time.